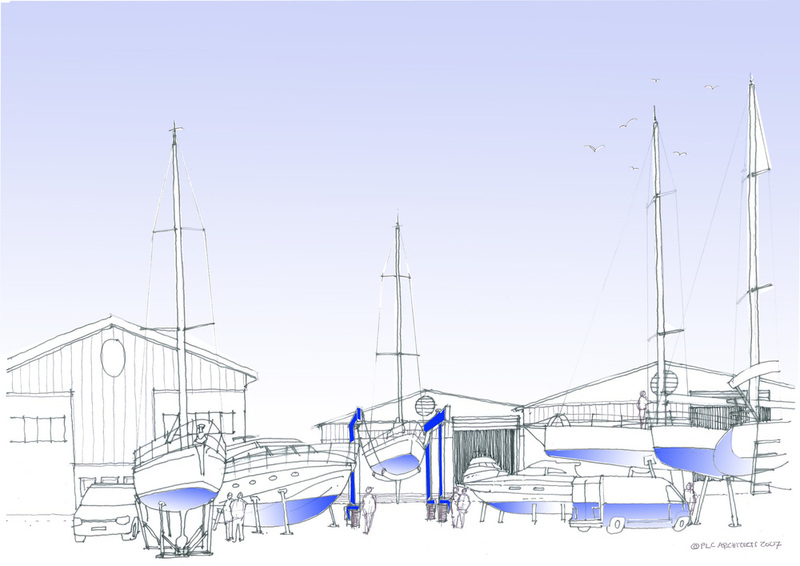 The masterplan incorporates a number of varied marine-related uses, and the development allows for the manufacturing of super yachts on-site. The former US Army base at RAF Hythe was bought by South East England Development Agency from the Ministry of Defence in 2007. As one of the last available waterside employment sites in the Solent area, Hythe is an important site for South Hampshire, and the marine industry as a whole. This development ensures its long-term use for marine employment opportunities. The brief called for the conversion of the existing main shed into marine production units and construction of new marine production buildings within the existing site. The project also includes small marine cluster flexible office / workshop units and associated external works to provide parking, improved slipway access and marine infrastructure facilities.